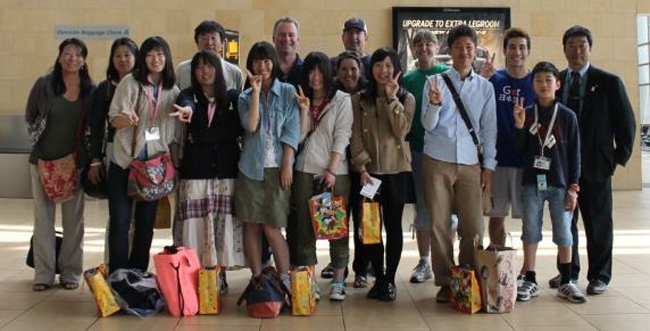 Japan Airlines and KYOCERA Corporation, coordinated by the Japan Society of San Diego and Tijuana supported the “TOMODACHI in San Diego 2013” program from March 24-31, 2013. 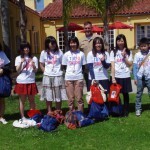 This program provided an opportunity for six high school students and one elementary school student from Kesennuma in Miyagi Prefecture to personally thank marines and sailors who provided them with help, hope and friendship as part of the Operation TOMODACHI rescue and relief efforts in 2011. 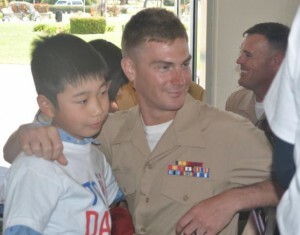 On March 26, a Thank You Ceremony was held at the Marine Corps Recruit Depot, which was attended by the Kesennuma students, five marines and five sailors who participated in Operation TOMODACHI in 2011, and numerous elected and appointed officials from San Diego and Los Angeles, California. 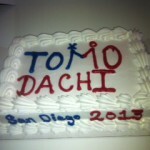 Activities and events during the week had included visits to Kyocera, Scripps Ranch High School, the University of San Diego, and numerous attractions in San Diego. 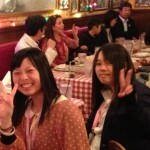 The group spent all of their days together and evenings with their host families. One of the most moving experiences for the students and host family members alike was the open sharing of stories and feelings from March 11, 2011. After the first couple of days, the students were anxious and eager to talk about their own often terrifying experiences and were encouraged to do so. While the students accomplished their goal of personally thanking the marines and sailors who helped them following the disaster, this program also seemed to provide them with a positive opportunity to process their feelings in some small way.